In the world’s largest dumpsite town, the lives of scavenger Julio and his young son Ingo take a turn for the worse when Julio is accused of murder. In the world’s largest dumpsite town, the lives of scavenger Julio and his young son Ingo take a turn for the worse when Julio is accused of murder. 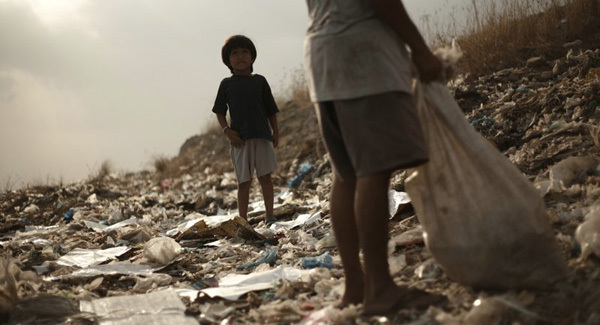 Cast from among real residents of the Payatas dumpsite in the Philippines. Winner of the Special Jury Prize at the San Francisco International Asian American Film Festival and winner of the Prix Du Public at the Cultures and Intercultural International Film Festival in France. Director Gerry Balasta is in Toronto to talk about how working with the community inspired him to make this film.